We can arrange collection of your goods from anywhere in New Zealand. We work closely with a number of specialized transport companies ready to meet whatever challenge we are presented with. 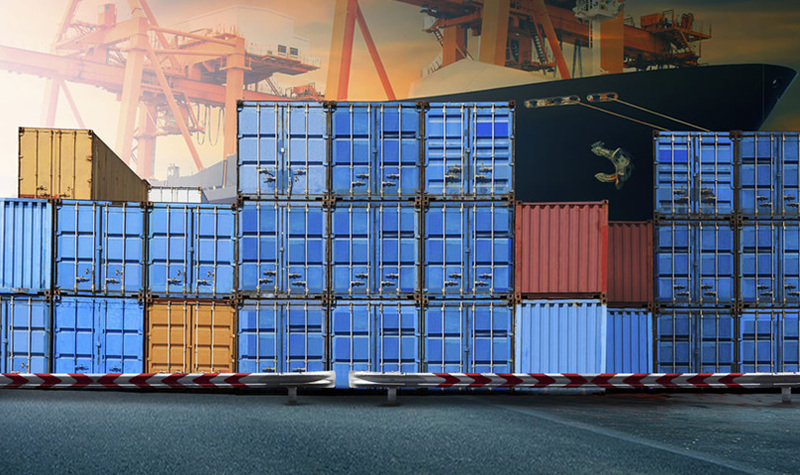 If you need a full container, providing access is suitable; we can place containers at your point of loading, whether a business location or personal residence. Once loading we will deliver your loaded container to the local port of origin for loading onto the pre booked vessel. If your shipment does not require a container for loading, we can collect general cargo be it on pallets, crates or packed in loose cartons via a fleet of standard pickup trucks, country wide every working day. Utilizing our network of agents throughout the world, we can offer a fully inclusive door to service if required. Our proven and trusted agents will process your shipments through their local customs service and arrange delivery as requested. With offices strategically placed at or near mostmajor port or airports, we can arrange any size of shipment from a small air freight shipment to a 20 foot container to most regions of the globe. For importers of large quantities of goods, we can offer a variety of services via FCL carriers tailored to suit price and timeline restrictions. We can offer premium direct sailings using the fastest sailings, the emphasis being on quicker transit times, but with higher freight rates, or a more economical option for those less than urgent deliveries based on a slightly longer transit time. There are several container options available; including20’ or 40’ standard containers, 40’ high cube containers, or for out of gauge cargo we can supply 20’ or 40’ foot flat rack containers. LCL ‘consolidated’ movements are ideally suited for the smaller quantity shipments. Generally the minimum would be 1.0 cubic meter, but could go up to 15.0 m3 to 20.0 m3 respectively, but at this point you would realistically be looking at a 20’ container. Consolidated or Groupage (as they are also known) services are available to most regions of the world. There are regular weekly services to Asia, Europe, Australia, North and South America, Pacific Islands and many other export trade lanes. For those time sensitive movements, we can provide a premium air freight and courier service to all areas of the globe. Our range of services serve most international airports, providing they have customs clearance availability. As with ocean freight there are different price/service levels to suit your individual needs. We can offer various options depending on your terms of sale; they include Door-to-Door, Door-to-port, Door-to-Airport. These are fully explained below under ‘Incoterms’. The Incoterms rules are commercial terms used in international commercial transactions, created by the International Chamber of Commerce (ICC). They are three letter trade terms that clearly identify the terms of sale agreed between seller and buyer in relation to the shipping and delivery of cargo/goods. The most commonly used terms are FOB, CFR and EXW, but see below the most commonly used terms. ‘Free On Board’ indicates that the seller delivers the goods on board the nominated vessel or aircraft, all costs of inland transport and loading being included in the price of the goods. After departing the port or airport of departure, the buyer has to bear all costs and risk of loss of or damage to the goods from that point onwards. ‘Cost and Freight’ means that the seller is responsible for cost and freight until the goods arrive at the destination port or airport. The risk of loss of or damage to the goods passes to the buyer once the goods are loaded onto the departing vessel or aircraft. For example; ex warehouse, mill or factory. The goods areplaced at the disposal of the buyer at the seller’s specified premises for the buyer to arrange and pay for the uplift of the goods on an agreed date or fixed period of time. From this point, all other charges are for the account of the buyer. Similar to the term FOB; ‘Free Carrier’ means that the seller delivers the goods to the carrier, i.e. shipping agent or shipping line, airline handling agent or another nominated party. The seller is well advised to specify clearly the named place of delivery, as the risk passes to the buyer at that point onwards. If the term ‘Delivered Duty Paid’ has been agreed, it is the responsibility of the supplier/seller to deliver the goods to the buyer or consignees named place of destination. The seller has an obligation to customs clear the goods not only for export but also for import, to pay any customs duty at the time of importation and to deliver the goods to the buyers named address. Very similar to DDP, ‘Delivered Duty Paid’ means, it is the responsibility of the supplier/seller to deliver the goods to the buyer or consignees named place of destination. The seller has an obligation to customs clear the goods not only for export but also import, delivery of the goods to the buyers named address, but any local customs duty or taxes are the responsibility of the buyer or consignee.